Disclosure: this is a sponsored post by iLovetoCreate. The opinions are completely my own. If you are like me and counting down the days to spring, then this is the perfect project for you. 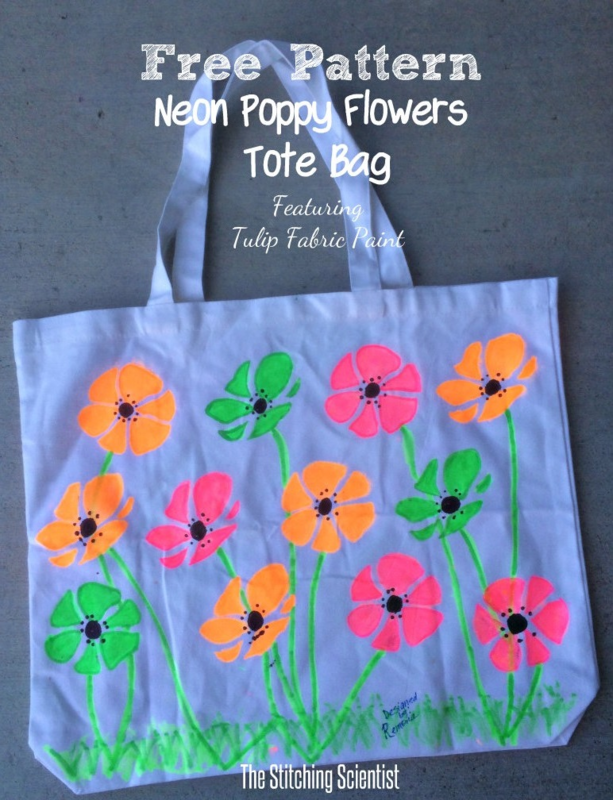 This bright neon poppy tote will definitely chase away those cold weather blues. 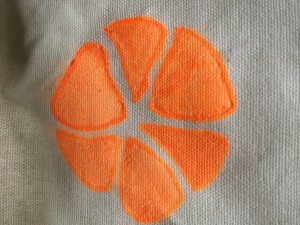 This is actually my first time working with fabric paint and boy am I hooked! This project was so much fun. I had a blast working with these different Tulip fabric paints sent to me from i Love to Create. This poppy garden design will work wonderfully on a tote or a plain white t-shirt or even on the side of some pale colored jeans. 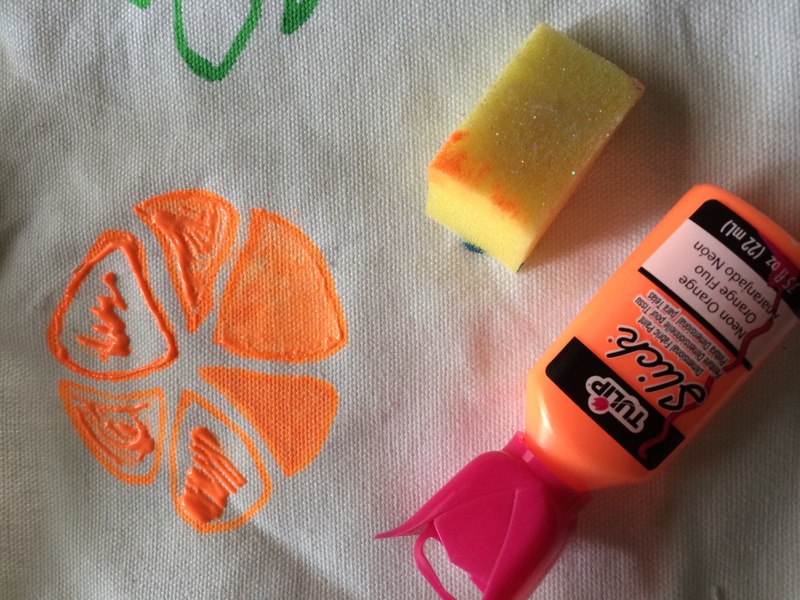 This tote bag design is super easy and can be a fun project for a child to do on a cold winter day. I hope you enjoy the tutorial and free pattern. 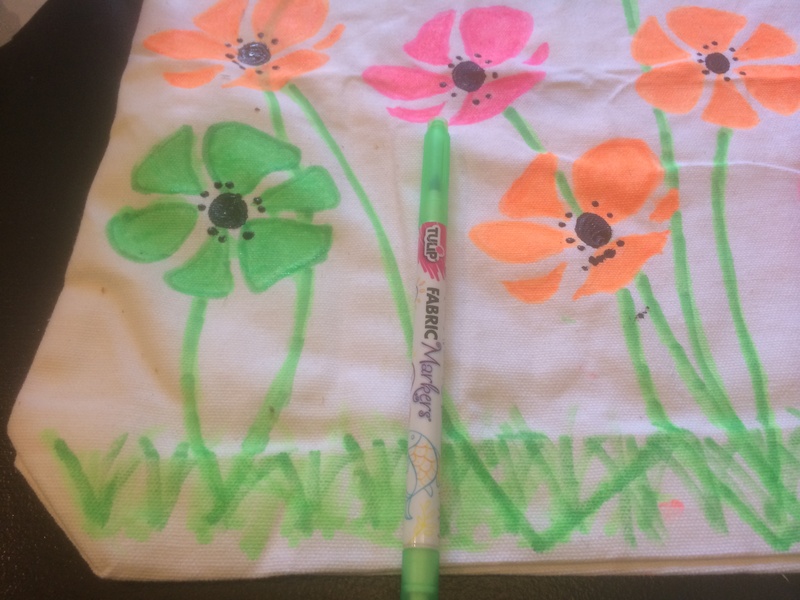 For this project, I received, Tulip Dimensional Mini 3 packs, Tulip One-Step Mini Tie-Dye Kits, and Tulip Fabric Markers. Print out the free stencil pattern HERE. If you want a layout guide, you can find it HERE. 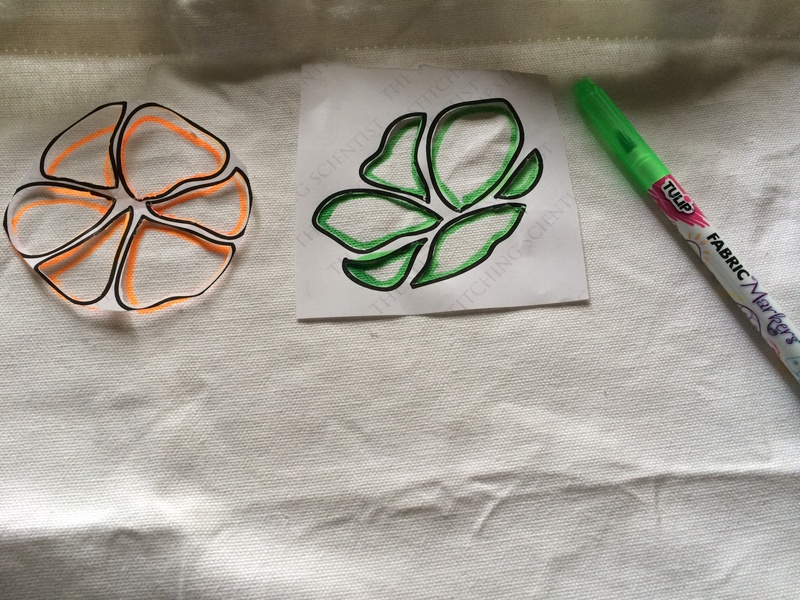 Cut out your stencil from the pattern of the two poppy flowers and draw your flowers using the fabric markers. Fill in the petals of the flowers using the Tulip Dimensional fabric paint and your craft sponge. 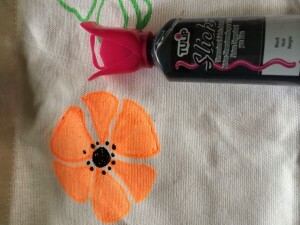 Draw small black circles and dots in the center of your flowers using the Tulip Dimensional black fabric paint. 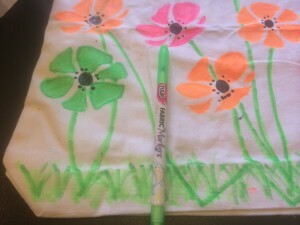 Draw green stems and bottom grass using the green Tulip fabric marker. Draw under the flowers so that the green stems doesn’t overlap on your flowers. That’s it, you are done! Go show off your new creation! Pick up these exclusive products at your local Michaels Arts & Crafts store. For those folks without a Michaels store in their area, you can order the products at iLoveToCreate.com. iLoveToCreate.com is currently offering free shipping on any neon Tulip product for the month of February when you use coupon code NeonFEB (ends February 28th). Please follow iLoveto Create at Facebook, Twitter, Pinterest or on their Blog. Please check out these other creative applications of Tulip Fabric Paint!